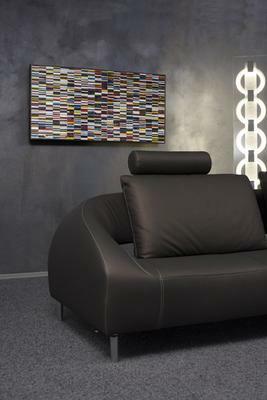 Parallel strips of coloured glass and mirror pieces forming abstract, shifting patterns. Modern and chic. 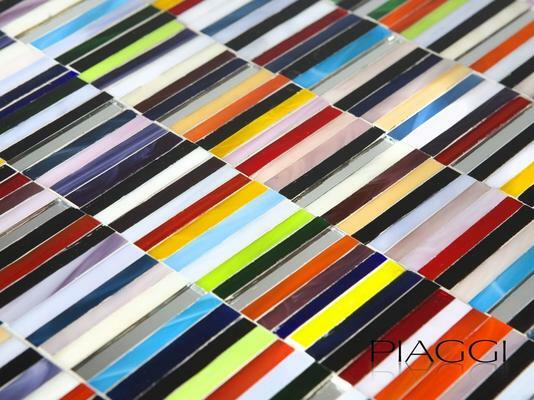 PIAGGI hand-made decorative panels are manufactured with precision and passion; they are also very impressive, designed for all the people looking for something unusual and unique. All our products are made to order, so manufacturing time may range from three to four weeks. However, timescales or dates indicated for delivery are for guidance only, and can change, especially when bigger orders are placed. Inspect for damage upon delivery. Any claim received later and not confirmed by the protocol of damage will not be considered.